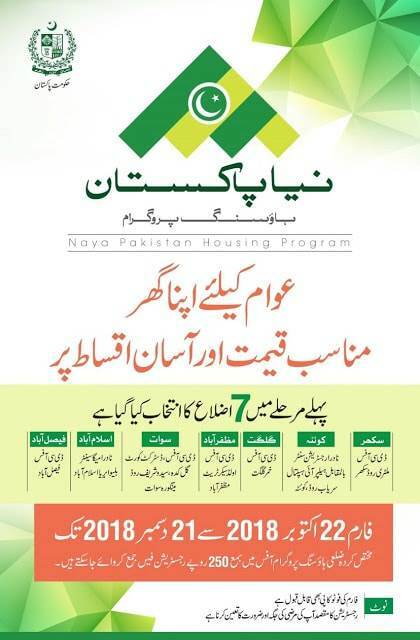 Pilot project of Naya Pakistan Housing Program has been launched in various districts of Pakistan including Islamabad, Faislabad, Swat, Sukkur, Quetta, Muzaffarabad, Gilgit, Lahore, Multan, Rahim Yar Khan, Layyah, Bahawalpur, Vehari, Kasur, Sialkot, Jhelum, Gujranwala, Dera Ghazi Khan and Muzaffargarh. According to details, government will provide required land for the project and play the role as the regulator. While public and private sector and non profit organizations will execute the project. Update (21-11-2018): All 32 districts of Punjab have been included in naya Pakistan housing programme. Only one person per family (husband, wife and children) to apply in this scheme. Applicants who do not own any independent residential unit in Pakistan will have privilege. This housing program is for the low income common people. House design, price and sites will be decided later on, based on the data provided in the application forms. There will be 4~6 categories of houses. 20 percent of the cost of a house will be deposited as down payment by the applicant. Remaining amount will be paid in easy installments of 20 years. Monthly installment is set to 18,500 rupees at max. NADRA has announced that submission of online applications will be started soon. 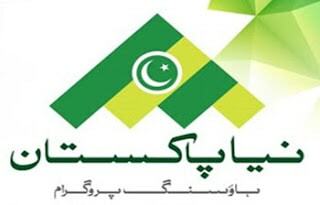 How to apply for Naya Pakistan Housing Program through printed form? Fill out the all fields of following form in capital English letter. 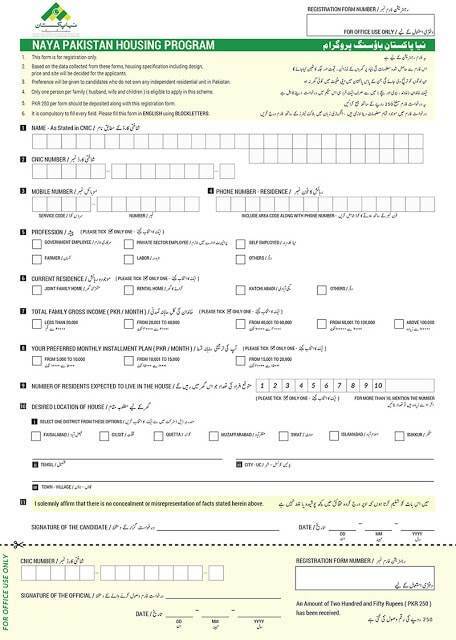 This form can also be downloaded from NADRA website. Photocopy of form is also acceptable.